iPresas offers consultancy services specialized on the application of risk analysis techniques for the design, evaluation and management of dams and other infrastructures. We also develop other projects regarding dam safety management. The responsible entities on dam safety management face several risks that can affect its strategic objectives, giving rise to potential social and economic consequences. iPresas provides technical support to inform risk management actions in order to maintain the highest safety standards. This support includes all levels, from the design of road maps or screening tools to the implementation of the most advanced tools for risk calculation and analysis for prioritizing investments. iPresas has extensive experience in the application of risk analysis techniques through pilot cases and projects, promoting capacity building of teams responsible for dam operation and maintenance. 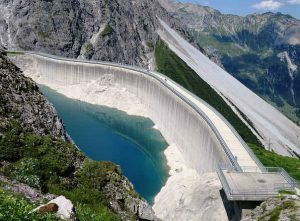 iPresas also develops projects concerning general activities linked to dam safety management (inspections or safety reviews among others). 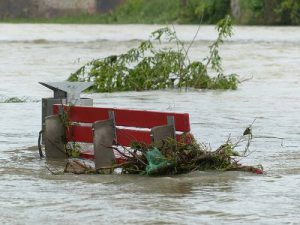 Natural disasters, and especially floods, produce impacts on the society and may cause significant costs worldwide, both in terms of loss of life and economic or environmental damages. The proper design of disaster risk reduction measures requires the analysis of existing and future risks, as well as the implementation of different structural and non-structural measures. iPresas provides the necessary tools to estimate flood risks and to evaluate different measures, analyzing technical and economic feasibility. These tools allow to evaluate the efficiency and effectiveness of different risk mitigation measures to be implemented for the adaptation and mitigation of disaster risk and the impact of climate change. iPresas has collaborated with multilateral organizations and different governments for the development of governance instruments that allow to include disaster risk management in infrastructure projects. 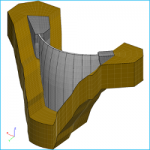 iPresas performs structural analyses and numerical modelling of dam performance for different typologies. To this end, iPresas has the license of FLAC software which allows for the elaboration of static and dynamic stress-strain models, increasing the knowledge of the dam-reservoir system and a better definition of dam surveillance needs. In recent years, the iPresas’ team has participated actively in the ICOLD Technical Committee on Numerical Analysis of Dams, as well as on the equivalent SPANCOLD Committee. iPresas offers services that include 1D and 2D hydraulic modelling to support flood risk analysis. In this link you may find further information on our projects.